Wow. I didn't know they mummified all those animals. I wonder how many of them were gifts to the gods. i read that article in NatGeo and i thought it was interseting, i have a kitten and was comtemplating having it buried with me . . . . lol jk. and i am so happy you posted! i had 2 do a project on animal mummies in 6th grade-my teacher actually managed 2 make it boring!!! How does 1 make mummified dung beetles boring????? Hey everybody i have a favor to ask...for school i have to do a survey so please answer! I get N.G too. That's interesting. You know what else? They buried cats with their dead owners back then. Whether the cat was dead or not! Reel Dancer: A Peanut Butter and Jelly Sandwich. Though I am rather fond of Jelly and Cream Cheese. my mom just gave me that issue. stange, huh? 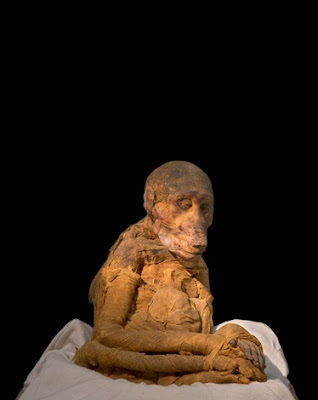 I saw that arcticle, thought it was weird, they actually used a hook to remove the brain theough the nose before mummifying, they removed all the other organs too. 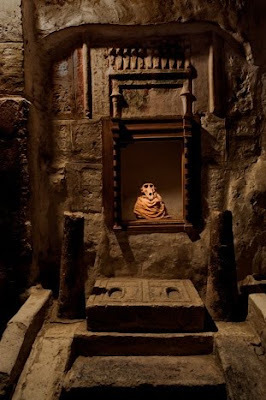 The organs were preserved and put in the tomb with them. Reel Dancer: Peanut butter & honey!!! wheres the shadow city store? ok thats like super freaky. Why would u mummerise baboons? If I was egyptian(which I'm not) I don't think I would mummify my animals. Super gross! to mummify anything you have to pull the brain out from the nose. Talk about OW!